endorsements | we got us a family here! Thank you Dinosaur Train. Never in a million years did I expect to hear the word “migration” pop out of my almost three-year-old’s mouth. Yep, I’m a member! I’ve been a loyal Sam’s Club member for the past few years, but then a new Costco opened up at a location more convenient to my house. Sorry, Sam’s. You’ve been good to me. But Costco is closer and I’m all about convenience. We received the membership for Christmas but it took me until this past Saturday to run out of my mega-size packages of toilet paper and paper towels from my last Sam’s run. We decided to make the trip to Costco a family event…and I decided to bring my camera. Much to Travis’ embarrassment, I might add. Since we’ve been doing this whole blog thing, I take my camera to a bunch of places that I never would have before. 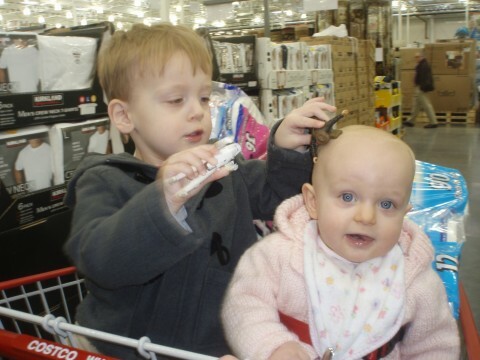 Yes, I’ve been known to take pictures of my children at the pediatrician, in the movie theater, and now at Costco. Travis doesn’t really get this and doesn’t really see the need to blog about Costco, but a lot of people who read this blog are mommies and mommies talk about kids, diapers, and where they buy their kids’ diapers. So there you go, Travis. 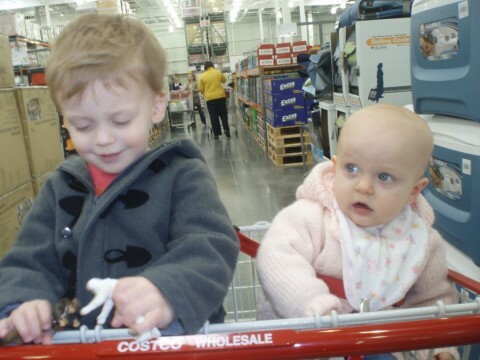 Anyway, similar to Sam’s, Costco has carts with the double seat. I LOVE this feature. I wish every store would adopt this cart-style. 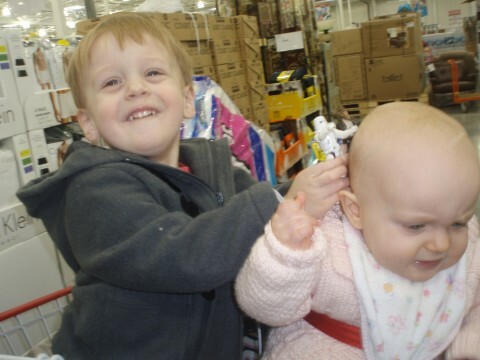 You can just pop both kids in the cart and hope that they entertain each other…which is what my kids did on Saturday (but this was probably only due to the novelty of the situation). Here they are…Owen is happily playing with his Indiana Jones action figure and a storm trooper (of course), and Molly looks amazed at the huge quantities of things you can buy in bulk at Costco. Then Owen starts to realize that Molly’s head would be a good location for an action figure battle. She seems surprisingly okay with this…for the time being. And then she’s had enough. He’s having a blast at his sister’s expense. And Travis and I have filled our cart with 50 pounds of dog food and massive amounts of paper products. Time to go. I realize that it will be incredibly difficult to ever exit Costco without having spent $100. You get in there and realize just how very much you need those peanut butter filled pretzels because where else will you be able to get that many for $5!! Anyway, Costco’s great. I gotta be honest, though. I know people swear that it’s SO much better than Sam’s. Granted this was my very first trip, but I thought it was pretty much the same…except that they don’t carry All Free and Clear which makes me very sad. The amount of laundry that happens in this household makes mass quantities of that wonderful, sensitive skin friendly laundry detergent very necessary. Oh well. The price I pay for convenience. 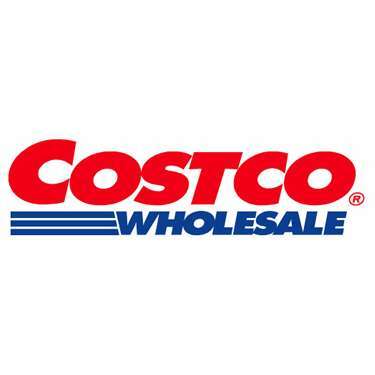 If you are a Costco lover, tell me…what makes it that much better than Sam’s? I’m curious…. And I love them. Molly is still very toothless, but she gnaws on everything. There’s got to be some teeth in there somewhere. She’s a big fan of the chilled teething rings, but I like this idea even more. Today at lunch Owen was eating apple slices. I took one of his slices and stuffed it in the little mesh pocket, closed the lid, and Molly devoured it! These are a great way for her to be able to eat fresh fruits and vegetables without having to worry about the choking hazard. Plus, these help keep Molly occupied at the table while the rest of the famiy finishes eating…a definite plus for me, considering I don’t remember the last time I’ve eaten a meal without simultaneously feeding another child. With less than 3 weeks remaining until the baby comes, I keep thinking of things I want/need to do before he/she arrives. One of those things happened to be finding the perfect gift for the baby to give to his/her big brother. As of late, Owen has been BIG into Hot Wheels. 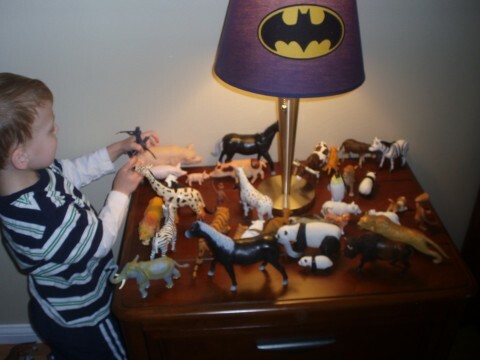 He loves how he can make them zoom super fast and how they fit just perfectly in the palm of his hand. When thinking about a gift for him to receive from the baby, these were perfect. Not only are they small enough that they can easily be wrapped to take to the hospital, but they are also very friendly on our budget. I knew that Target has them for 99 cents each, and I was planning on getting them there. But today as I was perusing the weekly coupon mailers, I came upon this great Walgreens special. From now until next Saturday you can buy one Hot Wheels car at $1.29 and get one free. There’s a limit of 4, but that means you get 4 Hot Wheels for less than $3! Pretty great deal! I was pretty pumped to get Owen something he will really love that cost me so very little. If any of you out there have a little guy at home who likes Hot Wheels or need a good birthday present idea, take advantage of this great deal before they get too picked over! I paid $5.24 for this bottle of 60 vitamins. So this should last me 2 months. Maybe by then he’ll be so excited about eating gummies that we can switch to a cheaper brand. Anyway, I was a bit apprehensive about buying these only because of Owen’s aversion to trying anything new. Whoever created these vitamins knew what they were doing. We now call them Owen’s “Car cookies”. He thought they were fantastic and wanted more. Now the challenge will be helping him understand that he can only have 1 per day. Now that I’m sure Owen is getting his vitamins, I won’t stress as much about what he does (or doesn’t) eat. By the way, I tasted one of these gummies. I actually wanted to eat more than one, too! Those of you who know me well, know that I’m always looking for a good bargain. (Or a way to make money to buy something for a bargain…hence my Craigslist obsession. Which is still going on, I might add.) My friends Anna and Abbey have told me about the deals they get at Aldi, but until this week I had never ventured inside the store. There were a couple of things that held me back…a) you have to bag your own groceries…not always fun with a toddler, b) you have to pay using cash or debit card, c) you have to bring your own bags or buy them there, and d) you have to pay a quarter for your cart. These may seem like silly reasons to not visit a grocery store that’s supposed to give you great bargains. Well, it held me back for quite a while. Probably because I have really enjoyed shopping at Schnucks…I have a favorite checker who really likes Owen, I can go through the entire store and get everything I need in less than a half hour because I know the store like the back of my hand…and there’s something to be said about knowing your grocery store. But recently the prices at Schnucks have continued to go up, up, and up. In a quest to save some money on groceries, I decided to get over my hesitancies and GO TRY ALDI!!! And boy am I glad I did! First of all, paying a quarter for your cart is not a big deal at all! You put your quarter in and then you get it back when you return your cart at the end of your shopping experience. If this helps cut down on the cost of food, I’m all for it! As for the buying/bringing bags, I’ve recently gone “green” and purchased reusable grocery bags that I take with me whenever I go shopping. I just brought those with me to Aldi…problem solved! Bagging groceries was no problem either. They have a counter where you can take your groceries to bag them before you leave. I actually enjoyed bagging my own groceries so my bread didn’t get smashed by my bananas…like sometimes happens when others bag for me. And finally, the paying with cash or debit was fine, too! I just had to remember to leave the house with my cash and I was good to go! So, I got over my aversions to Aldi quickly and fell in love when I walked in the door! Now, the atmosphere isn’t what I fell in love with. I mean, it’s not dirty or anything, but it’s nothing to be amazed at. The thing I fell in love with were the prices! Something kind of quirky about me is that I have this weird ability to remember exact prices of different things I often buy down to the cent. This actually serves me pretty well in my money-saving quest. I was able to look at the items at Aldi, mentally compare them to what I pay at Schnucks, and then bask in the glow of the money I’d saved!! Here are some examples of the prices at Aldi vs. the prices at Schnucks: Aldi BBQ Sauce $1.19…Schnucks at least $2.50; Aldi Hamburger Buns $.85…Schnucks $1.80; Aldi Wheat Bread $1.09…Schnucks $2.99 (I don’t buy the cheapest bread at Schnucks). Well, there’s a glimpse at my savings. I was able to get most of my groceries at Aldi. They don’t have everything you need, so it is necessary to go to more than one store, but for the money I saved…it’s definitely worth it. I got all but about 10 things at Aldi. I was expecting my total to be at least $55…considering it probably would have been close to $70 at Schnucks. I could hardly believe my ears when the check-out lady told me my total came to $36.60!!! I was pumped, thrilled, tickled…and can’t wait to go back next week! I definitely got great deals at Aldi…but I’ve also been very impressed with the quality and taste of the food I purchased. It was great to save a few bucks on groceries but still be able to provide my family with healthy food choices. If you haven’t been to Aldi and are looking to save a buck (or $30), check it out! Now, how do I make sure the Aldi people see this blog post and give me even greater discounts for giving them free advertising?? ?